You will explore Turpan as you stay here. 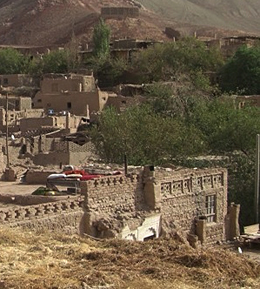 Turpan is a green oasis in a desert area and is rich in cultural heritage and natural beauty. 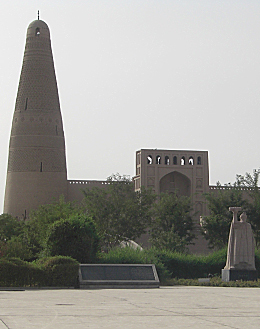 It one of the most visited towns on the Silk Road. It is an ancient centre with archeological sites dating back over 2000 years. 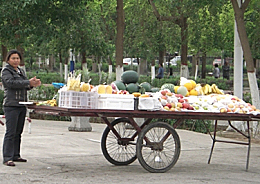 It has been a Uighur stronghold (khanate) since about 2000BC, off and on – although today it has a balanced and harmonious Uighur and Chinese population. Your tour guides will advise on the many sightseeing venues but in your spare time you may wish to see more of the town. The town is modern, and an evening stroll around the Lake area (just 2 kms from the Lodge) is well recommended. 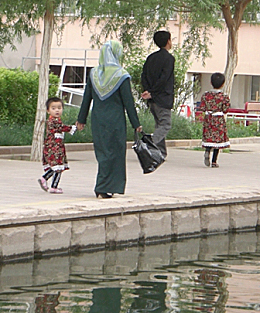 There you will mingle with local people (both Uighur and Chinese) whose evening activities include fish feeding, boating, dancing (modern and line), playing in the water fountains (for kids!) or just sitting and watching the world pass by with a beer, a kowas (local cider) and a few kebabs. In Turpan, you can experience the unique features of life in a desert oasis town, and ancient local Uighur culture. Turpan is a full two-day experience if you want to take in all the tourist sights. Longer if you want to explore the local culture more. 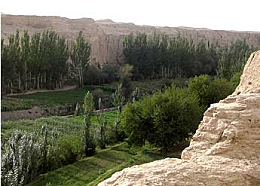 A walk around Munar Village (where The Vines is located) gives you a view of Uighur life as it has been for centuries. Wander around the mud brick houses, sample locally grown fruit or freshly baked naan bread, amongst bare foot children playing in the street, cattle in their bowers, and chickens everywhere! At the right time of year pick the communal mulberries from the trees lining the street to eat (both black and white are edible). Alternatively a dusk walk amongst the vineyards to view the grape drying houses gives you a quiet and serene closure of the day. Stop (in season) to select some sweet grapes from branches you pass. (Not too many please, they are grown by the villagers for sale). A short drive (or reasonable walk through the village) away is the centre of Turpan City – with its excellent local ethnic restaurants, bazaar, and a lake based evening social activity centre where you can stroll (or dance) with the locals enjoying the cool of the evenings. The Vines Munar Village is located near the 2nd lowest place on earth (Lake Aiding, 146m below sea level), yet it is also near the furthest place on earth from the sea. Enjoy clicking through these photos taken around Turpan and the The Vines lodge.